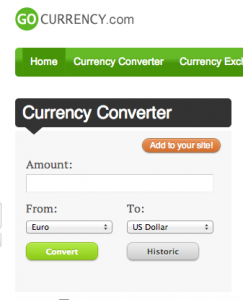 Five websites that provide Currency Conversion online - Blogger I.Q. How often have you decided to travel abroad and wanted to know the value of your local currency outside your country? Or just simply wanted to know what you currency value is when compared with any other nation? No matter what’s the situation, there are many websites to work that out for you. More so, there are also apps that can do the job on the go – most of the websites given below in this post have their own apps available for download. How to know which website offers a better solution to answer your above questions? First of all, you can just jump to any of these websites to get the conversion done. However, if you wanted to dig deeper, ponder over which website you might want to stick to in the future or share with your friends, then this guide shows you five easy to use websites that helps you convert the currency as per the current market rate. XE.com not only is the top in my opinion but it also provides a very good snapshot of many other currencies right on their homepage. It refreshes automatically to show current rate. Oanda.com offers the same conversion but website is little more trendier in my opinion. I have been using Oanda since 2007 and their way of presentation is pleasing. I usually take a print of their Traveler’s cheatsheet. Pretty neat personalized cheatsheet for our wallets. Gocurrency provides a drop-down menu right on top as soon as we visit them. This has a list of countries which when chosen gives historical data, credit ratings, bank rates, GDP details, etc. Their currency conversion is also good enough that gets the job done. Yahoo Finance page has its own currency conversion section within finance.yahoo.com page. But it takes some time to locate it in the site. One good thing is that it also offers along side their page an ‘education’ section. It provides us links to trading with currency, intro to currency, floating vs. fixed rates, etc. For someone who wants to learn the basics should surely give it a shot. 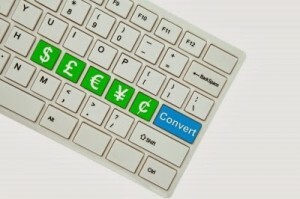 These are the five currency converter websites available online which does well in my viewpoint. Sometimes you may find slight differences in the converted rates. This should be kept in mind and thus warrants a reason to check more than one website – this post helps you to do just that! As with freedom of choice, you’re welcome to dig even deeper and find your favourites. 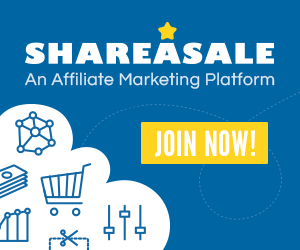 Though many other websites offer this conversion to us like Bloomberg, X-Rates, etc., in my opinion the above mentioned websites do the job well. You can find the rest here in this simple google search for Currency Converter.